A global enterprise in the service of commerce and households. 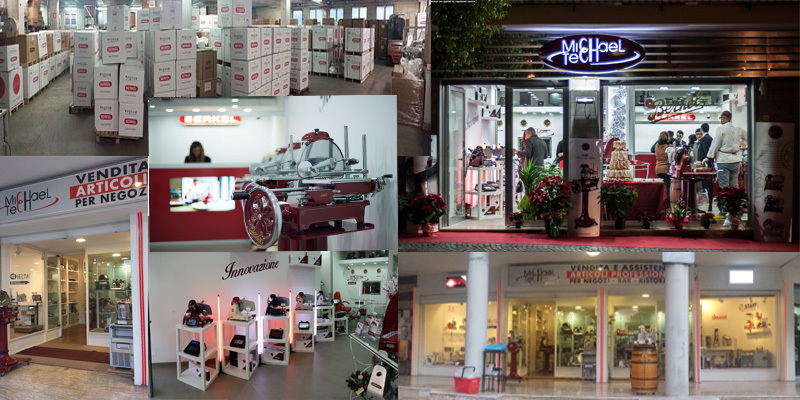 And 'the Michael Tech for thirty years ready to meet all requirements concerning professional quality supplies, counting among its brands the historic brand Berkel. "Thanks to major investments-Arturo explains Michael-our products are ready for delivery. The client who comes to us may furnish his shop and found all the necessary elements, from the showcase to the scales, slicers from the shelves, from the cold room for equipment of various kinds, such as simple fiscal meter or more advanced automatic cash management. " In addition to the most innovative systems on the market, the Michael Tech offers technical support and a high level consulting, along with the service center. For all customers, is also available in the showroom of course Italy, 1 in Meta di Sorrento. The origins date back to 1978 Tech's Michael. At the core of the initial sale and service of equipment and systems for trade, commerce and industry, have joined in the time the equipment for supermarkets, butchers, delicatessens, bakeries, bars, kitchens and large systems for monitoring and managing the flow of money. "In recent years, are growing even individuals who turn to us - Aiello says - to buy that last over time. 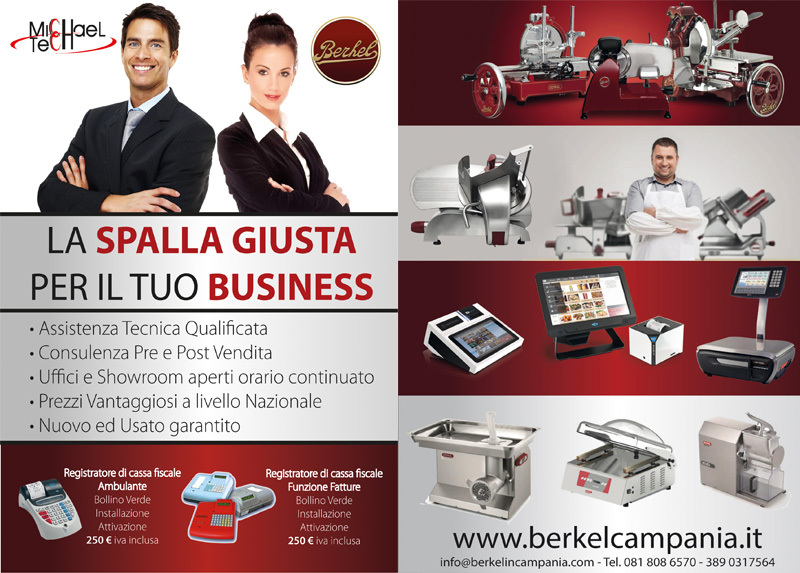 Berkel hand-slicer, for example, is an investment that appreciates over time, into a period piece. " Tech Michael, then, is a point of reference for relying on an innovative and that can boast both a long and prestigious experience. ALWAYS OUR CONVENIENCE AND 'QUALITY'!